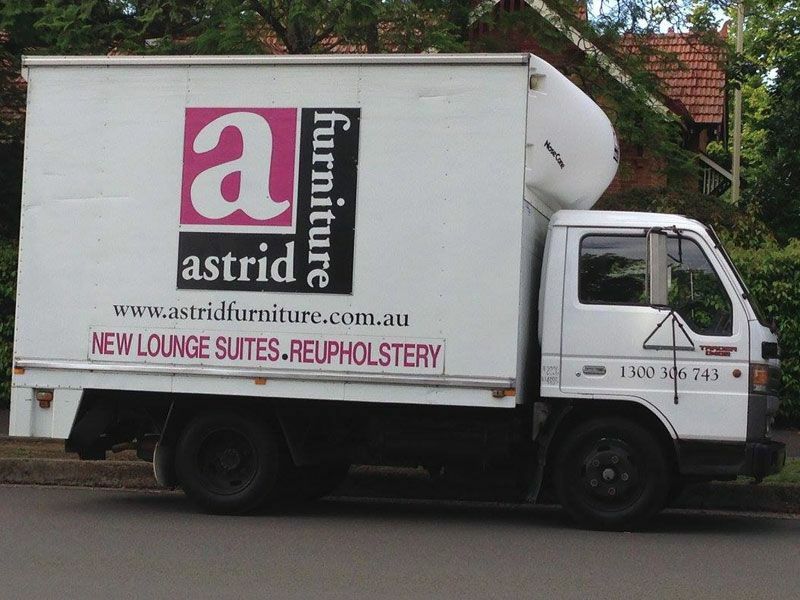 Astrid Furniture & Reupholstery is an Australian owned and operated company. We have been proudly upholstering quality lounge furniture in the Hawkesbury, Penrith, Blue Mountains and the Hills areas of New South Wales since 1980. Astrid Furniture & Reupholstery combines the manufacture of customised lounge furniture with a full reupholstery and restoration service. All work is carried out by qualified tradespeople who take great pride in their work, and are passionate about their craft. 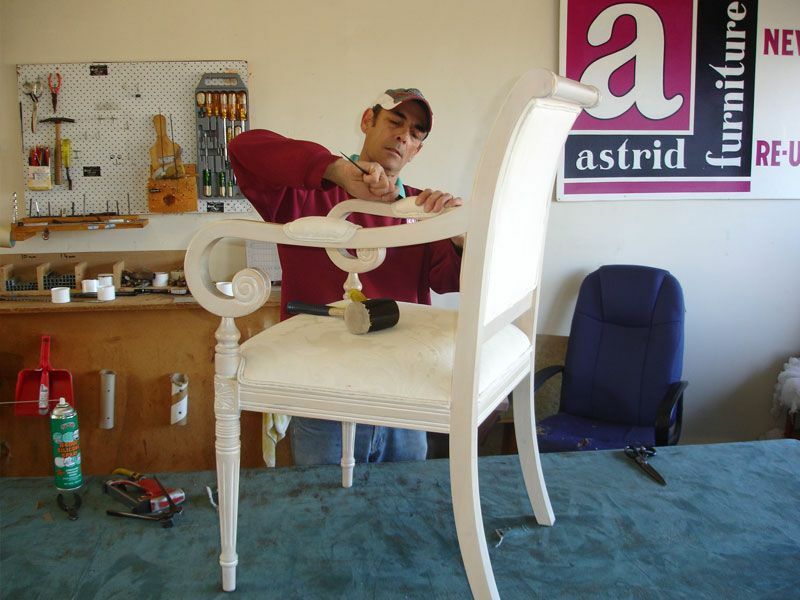 Astrid Furniture & Reupholstery has an enthusiastic and talented team of professional including upholsterers, cabinet makers, cutter machinists and polishers, all of whom share many years of experience. 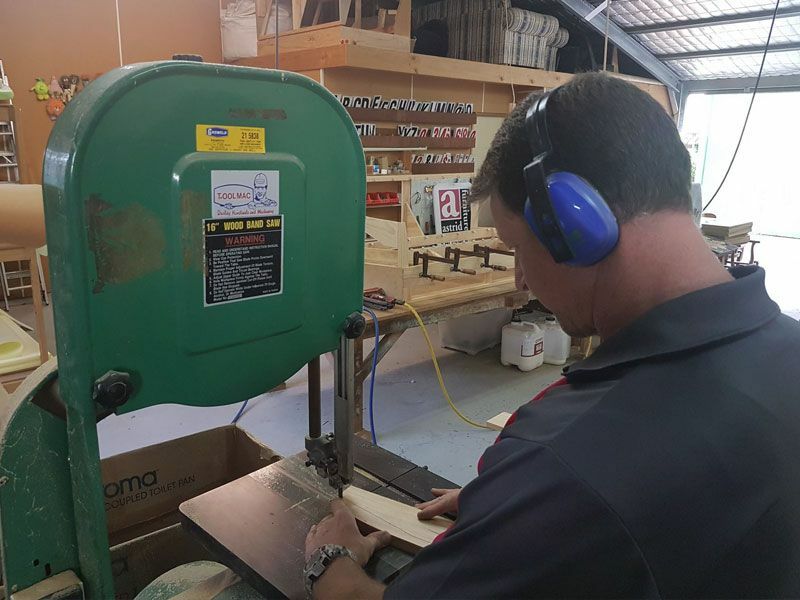 This high standard of workmanship and professional service had resulted in Astrid Furniture & Reupholstery winning four Hawkesbury Business Awards and a prestigious Excellence in Trades and Services Award. 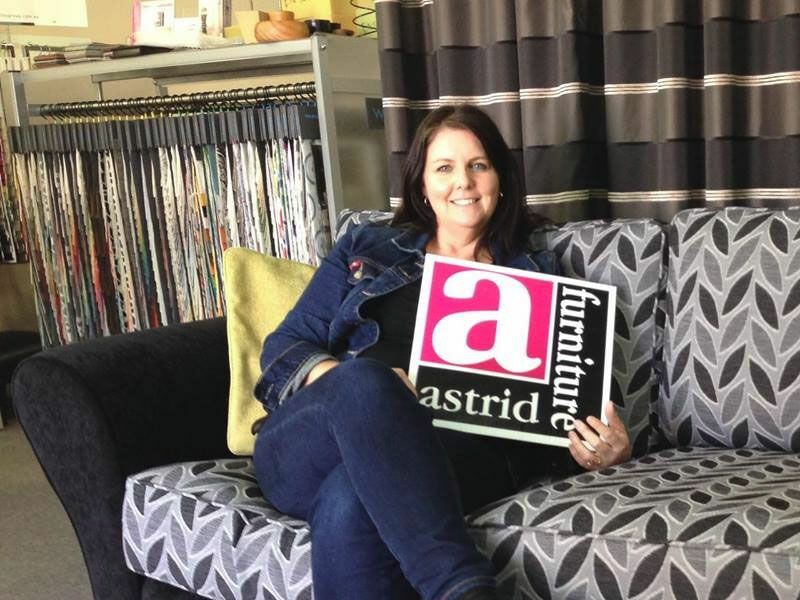 Astrid Furniture & Reupholstery is a registered member of the Furnishing Industry Association of Australian ensuring that quality craftsmanship is backed up by high ethical standards, and all work is guaranteed. 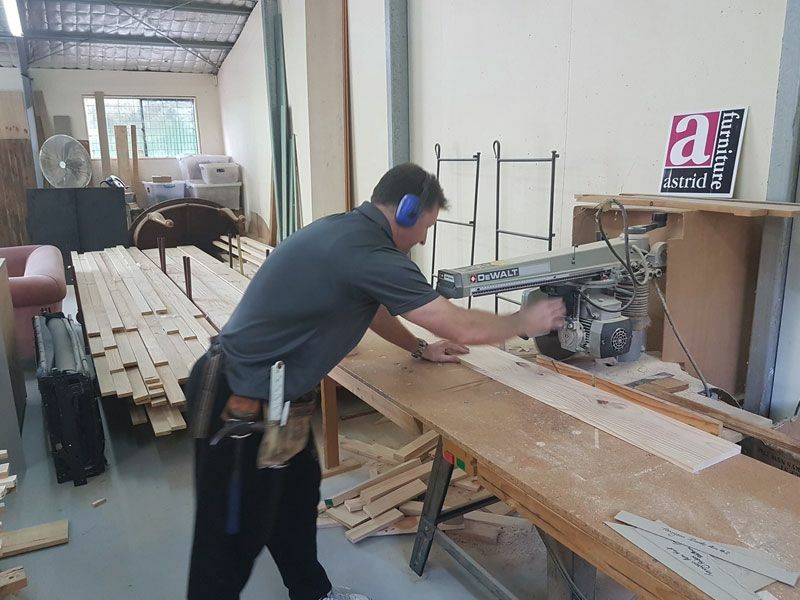 Astrid Furniture was established within the Hawkesbury area and has serviced the Blue Mountains, Penrith and The Hills Districts for the past 38 years. We offer a fully comprehensive re-upholstery and restoration service for the domestic and commercial markets, whilst also manufacturing custom built quality lounge furniture to meet a range of requirements. We can repair, rejuvenate your favourite piece of lounge furniture to last a life time. We pride ourselves in being customer focused, quality driven and at your service. Being a family run and owned business since 1980, Jaala and Mark continue to serve customers from yesterday year when Kerry Nichols was at the helm. 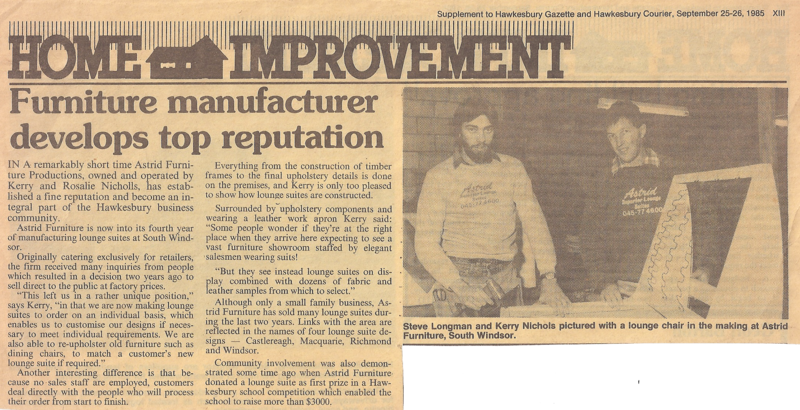 Kerry started the business only manufacturing lounge suites to order to the general public. The business slowly grew to what it is today, where we provide a comprehensive range of jobs ranging from the smallest to large commercial show pieces.